I've been a bit hesitant to dive into the camouflage trend head on, but I feel like I'm taking baby steps in that direction with this long-sleeved tee from Gap (and for only $25!). Because maybe I can't bring myself to go all out in a camo jacket or pair of pants just yet, but stripes...stripes I can do! 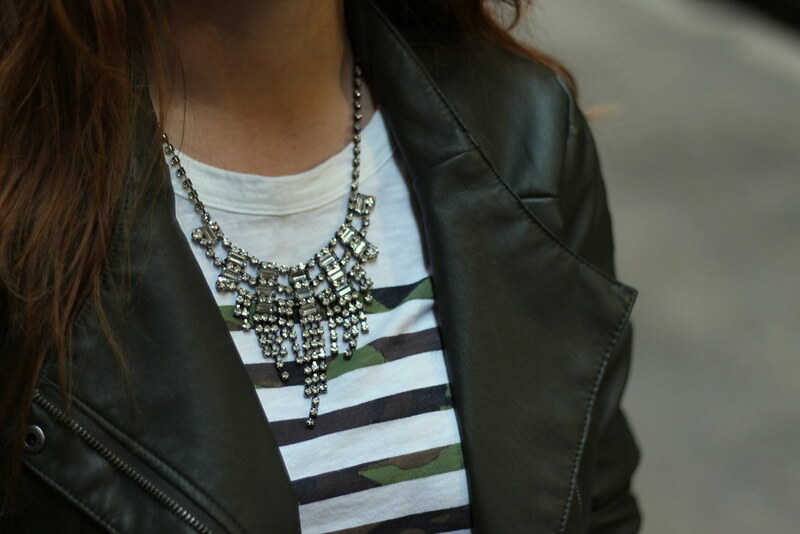 To create some juxtaposition between tough and girly, I added this über sparkly necklace from Forever 21 to balance out the look. Truth be told, they have some serious stunners right now (I'm obsessed with this, this and this) and I have to fight the urge to buy all of them on a daily basis. In addition to being perfect with a casual tee, they're sure to get a lot of use in the upcoming party season! Love the striped tee, I am a little hesitant to go full on cam too. But that shirt is the perfect baby step! You find the best pieces at Forever 21! That jacket looks so high end and the necklace is adorable. I love your style you always look so chic yet simple and I love your jacket. 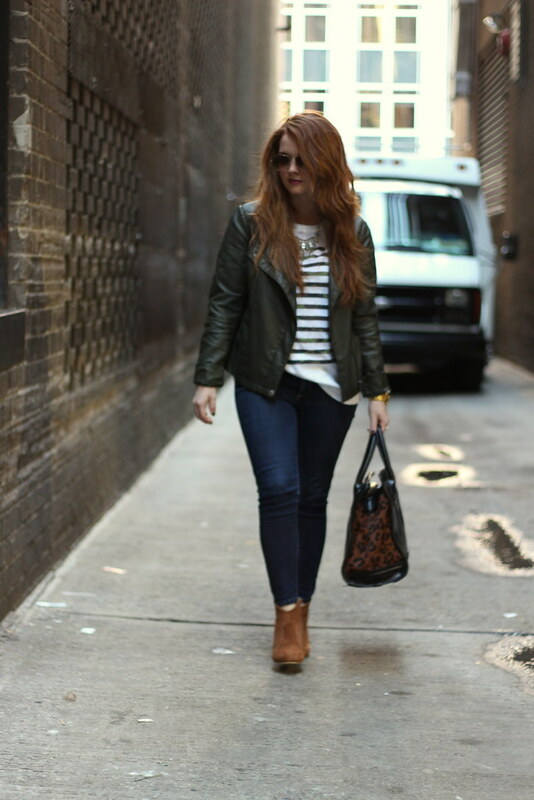 ok Im heading over to Forever 21 for that jacket ASAP.... Im obsessed with "leather" jackets! Thanks for posting! This camo touch is amazing, best if you don't want to wear a heavily loaded military style jacket or pants, very simple and beautiful.